Enclosure for rectangular Apollo Sport 300 trampoline. 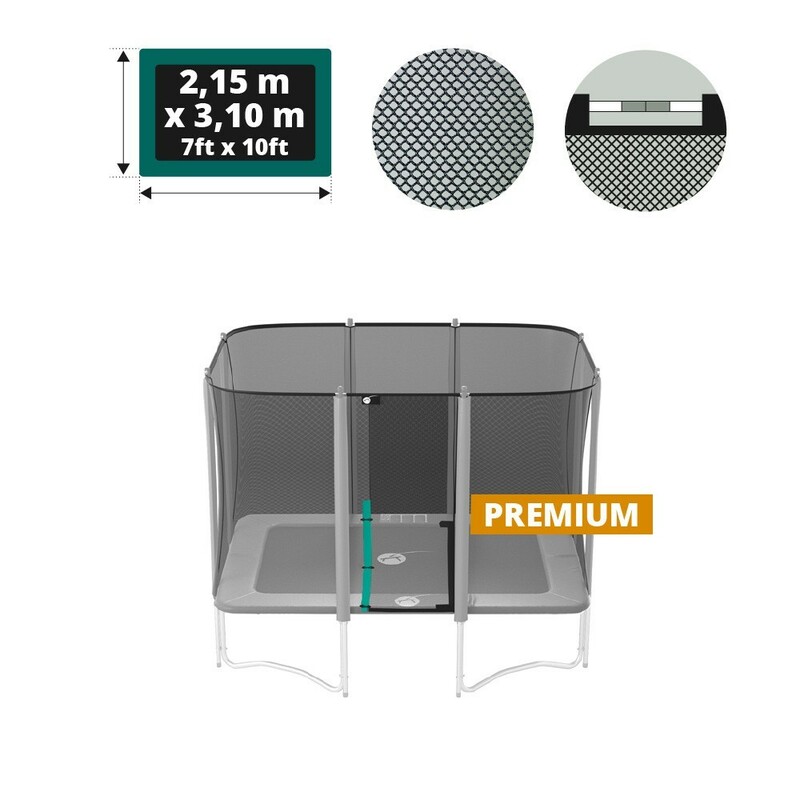 The enclosure is an essential part of the trampoline when it comes to safety as it cuts out the risk of falling out of the jumping area and injuring yourself. 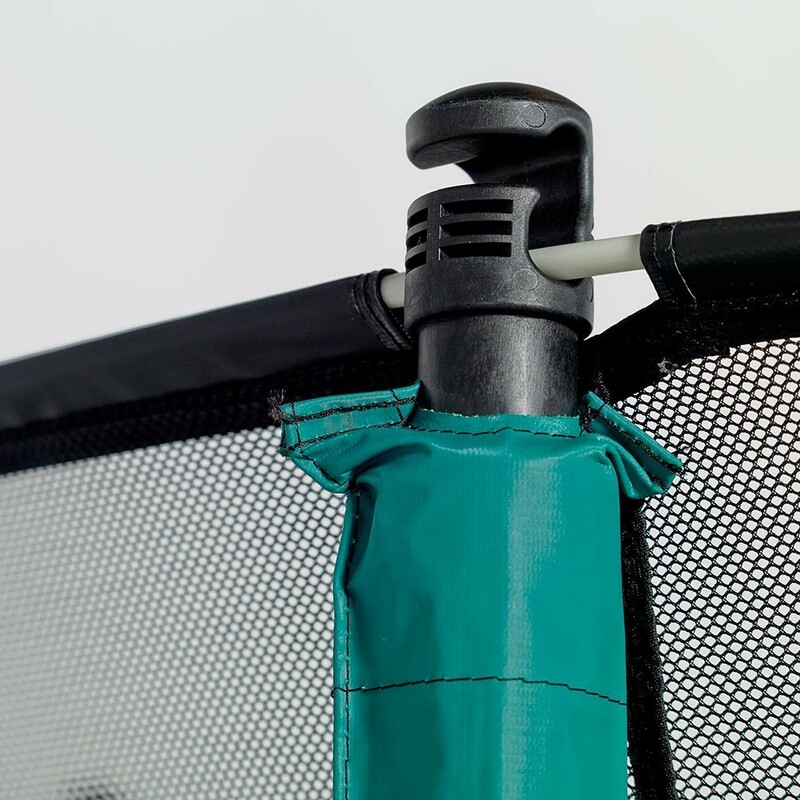 If your netting is showing signs of wear and tear, you should think about changing it. It is possible to change only the netting if your posts are in good shape. Your trampoline must have 8 posts of 38 mm in diameter. 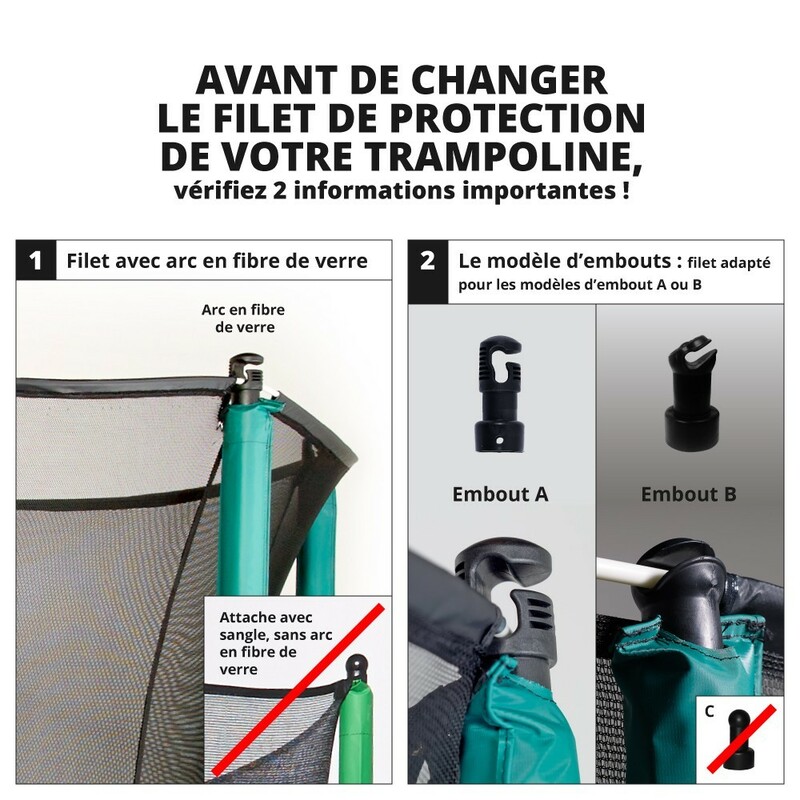 - This net is adapted to the Apollo Sport 300 trampoline bought before May 2014 but also to other trampolines with the same characteristics, that is to say 3.15 x 2.10 m.
- At the top of the net is a PVC sheath, for fiberglass rods that give shape to the net. Your trampoline must be equipped with fibreglass rods if you wish to install this net. Fibreglass rods are sold separately. - The net is also fixed using clips underneath the trampoline, on the spring rings. 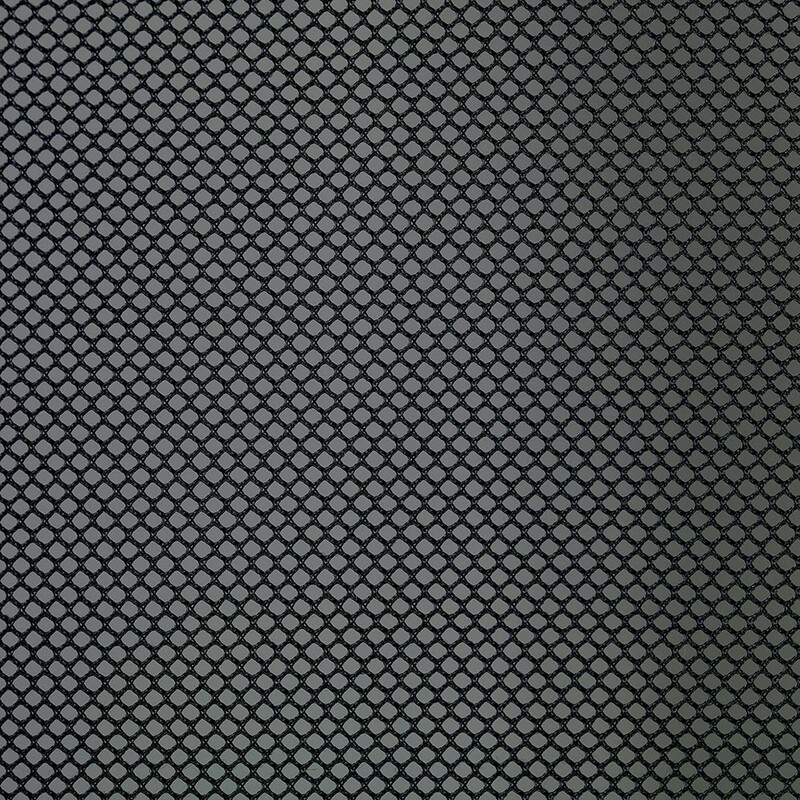 This helps to keep net tension for maximal user safety, stopping them from falling between the frame pad and the enclosure, as is the case on cheap trampolines. - For maximum safety, the net has an overlapping entrance. 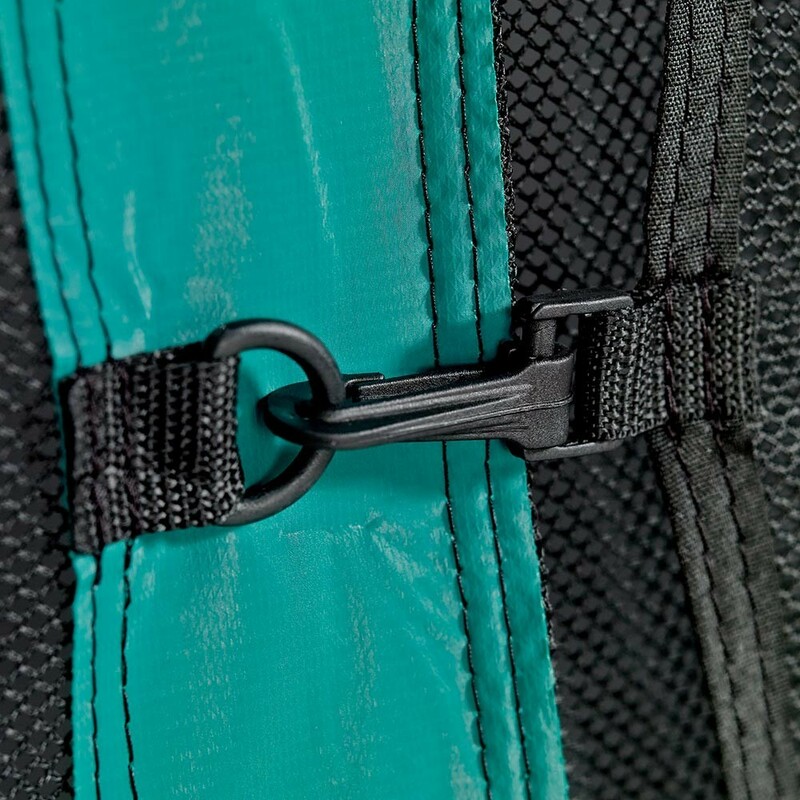 It opens on the inside using Velcro strips and on the outside using several clips. 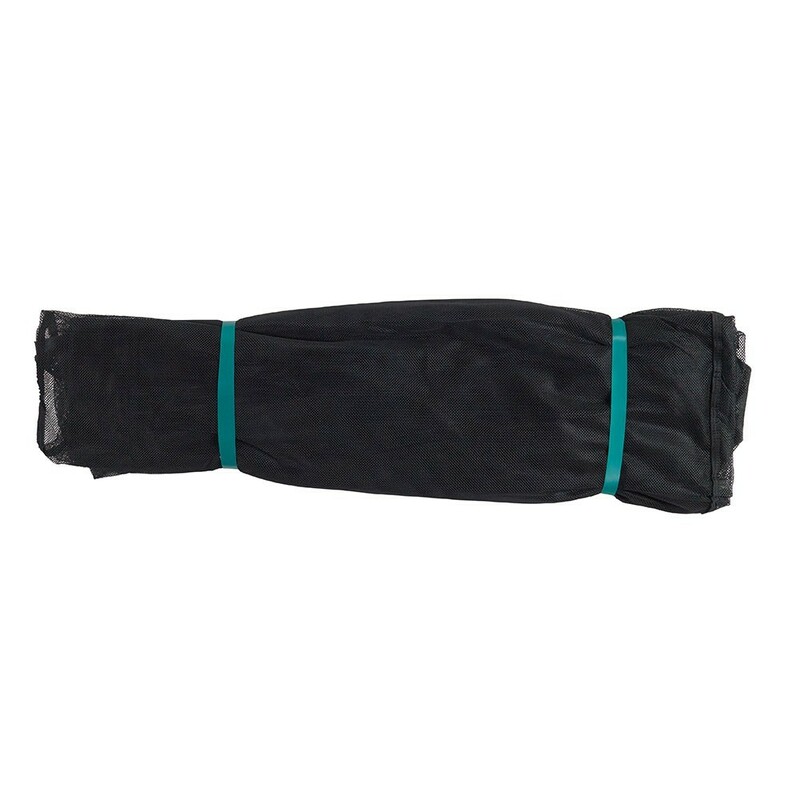 - Fiberglass, PVC Cover and foam are sold separately.